(Lionel Parrott, Liberty Headlines) On Thursday, North Carolina Governor Roy Cooper bowed to pressure from legislative Republicans and rescinded the appointment of a controversial nominee to a state board. 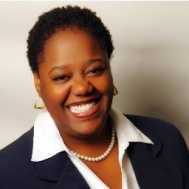 Cooper, a Democrat, withdrew the name of LaWana Mayfield from the Human Relations Board. Mayfield, a member of the Charlotte City Council, had referred to police as “homegrown terrorists” and had questioned whether the 9/11 terrorist attacks were the result of a government conspiracy. According to WRAL, the governor chose to appease Republicans in this case to avoid a distraction. “We do not want any appointment to divert from the work of the Human Relations Commission in promoting equity for all North Carolinians,” said Cooper’s spokesman, Ford Porter. Mayfield reacted with disappointment to the withdrawal of her nomination. But Mayfield’s withdrawal isn’t being universally applauded. Notably, the councilwoman is both black and openly lesbian, and some contend that she is being criticized not for her nutty statements, but for her intersectional identity. “We are extremely disappointed Governor Cooper took the important step of appointing a Black LGBTQ woman to the Human Relations Commission and then rescinded it due to pressure from the architects of HB2,” the group said in a statement, referring to the 2016 law that regulated bathroom use in the state. “With the unfortunate rescindment of her appointment, it is now essential Governor Cooper appoint someone who can provide the same insights into the lives of LGBTQ women of color,” they concluded.